An adventure that will shake you up! That’s what Jack and Annie get when the Magic Tree House whisks them back to California in 1906. 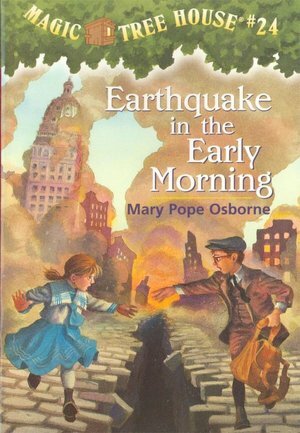 As soon as they arrive, the famous San Francisco earthquake hits the city. Can Jack and Annie find the final writing that they need to help Morgan save Camelot? Or will San Francisco be destroyed first? This was one of the scarier books we’ve read so far but it was still great! Addyson had never really known or been taught what an earthquake was so that was fun to explain.